Make your own restaurant quality Mexican style rice anytime with this easy to make recipe. This rice makes a perfect side dish to all of your favorite Mexican entrees. Heat oil in large skillet over medium heat. Saute onions, garlic and serrano chili peppers for about 3 minutes. Stir in rice and cumin. Cook stirring well about 1 minute. Slowly pour broth and add tomatoes. Bring to a simmer. Cover, reduce heat to low and simmer for 20-25 minutes. Rice should be tender and liquid absorbed. 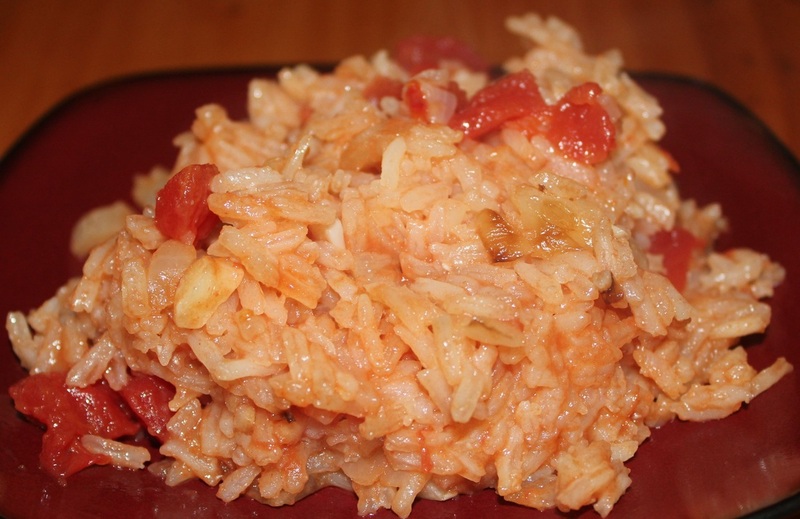 For a more traditional version, you can blend the tomatoes in a blender before adding them to the rice.